The group recovers from the fall of Ba Sing Se, and from Aangs injury,travel to the planned invasion site. On the day of the solar eclipse, Aang's group and a smaller band of warriors launch a smaller invasion, which ultimately fails. Zuko confronts his father and defects from the Fire Nation. After a series of events, he manages to gain the trust of the protagonists and becomes Aang's firebending teacher. Aang and Zuko unlock the firebending secrets of the "Sun Warriors", Zuko helps Katara find the man who killed her mother, and Sokka and Zuko travel to a Fire Nation prison to rescue Sokka's father and Suki. On the day of Sozin's Comet, Fire Lord Ozai harnesses the comet's power to start a genocidal campaign to destroy the rest of the world. Aang and his friends face the self-proclaimed "Phoenix King" Ozai, Azula (now crowned as the new Fire Lord by Ozai), and the Fire Nation army. Aang confronts and defeats Ozai while the Order of the White Lotus takes back Ba Sing Se from the Fire Nation. At the same time, Zuko is incapacitated by Azula, whom Katara then defeats. Zuko becomes the new Fire Lord and promises to help rebuild the world alongside Aang. Watch Avatar: The Last Airbender Season 3 Episodes Online at Animegg.org. 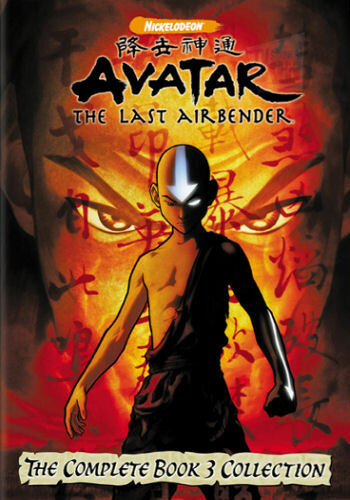 Avatar: The Last Airbender Season 3 is available in High Definition only through Animegg.org. Choose an episode below and start watching Avatar: The Last Airbender Season 3 in Subbed & Dubbed HD now.